Quality New Zealand juvenile Probabeel will not contest Saturday’s Gr.1 Champagne Stakes (1600m) at Randwick despite finding the line well in the Gr.1 Sires’ Produce (1400m) when beaten less than two lengths by Microphone. “She’s going to come home,” trainer Jamie Richards said. “We’re going to give her a break. She has done a terrific job for us and we believe that she has got it all in front of her. 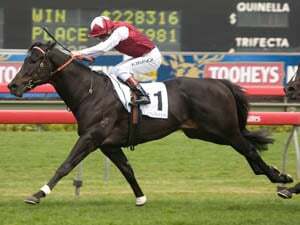 In two Australian starts the Karaka Million winner attacked the line well when sixth behind subsequent Gr.1 Golden Slipper (1200m) winner Kiamichi in the Gr.3 Magic Night Stakes (1200m), before closing well to finish fifth behind Microphone, Loving Gabby, Kiamichi and Castelvecchio. “They were probably the four highest-rated two-year-olds in Australia that beat her in the Sires’,” Richards said. The daughter of Savabeel is raced by Cambridge Stud proprietors Brendan and Jo Lindsay and there are options on both sides of the Tasman for the impressive youngster when she returns at three. “I would say that the Cambridge Stud team would be leaning more towards Australia than Riccarton (Gr.1 New Zealand 1000 Guineas, 1600m) in the spring, but we will discuss those sorts of things during the winter when she comes back into work,” Richards said. Talented galloper Adrossan recorded two further Group placings in his recent Australian campaign but he has joined the injured list and is returning home to trainer Stephen Marsh’s Cambridge barn for rehabilitation. “Ardrossan unfortunately comes home tonight (Monday) with a slight strain of the suspensory,” Marsh said. “That was a bit of a blow to the team because he was flying that horse. He’s out of the top draw that one, so it’s a real shame. The four-year-old entire has won four of his nine lifetime starts, including the Gr.3 Concorde Handicap (1200m) and the Listed Waikato Equine Veterinary Centre Stakes (1100m). The son of Redoute’s Choice also posted a Group One placing in the Waikato Sprint (1400m) before his Australian trip and Marsh said he would like to get that elite-level victory with his charge before the Waikato Stud-owned stallion retires to Stud. “Mark (Chittick, Waikato Stud principal) loves the horse and he is definitely going to stand at Waikato Stud, even if he is retired today, which is very exciting,” Marsh said. “But I’d love to put the Group One in front of his name before standing there. 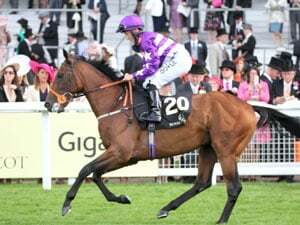 “We have got the swimming pool at Cambridge, we have got a treadmill and we can do everything like that to keep the weight off his back and get all the work into him without having to put him on a track. Zacada could be set to embark on a new career on the racetrack after failing to shape up in Sydney. Twelve months after finishing second to Who Shot Thebarman in last year’s Gr.1 Sydney Cup (3200m), Zacada could do no better than 14th in Saturday’s edition of the Randwick staying feature. It was his third start this campaign in Sydney and he had also disappointed in his other two outings, finishing last in the Gr.3 Manion Cup (2400m) and beating just four home in the Gr.2 Chairman’s Handicap (2600m). “He just hasn’t been good enough,’’ co-trainer Murray Baker said. ‘’He had his chance on Saturday. Zacada returns home on Monday night on the same Sydney flight as stablemates Madison County, Vin De Dance and Clementina. 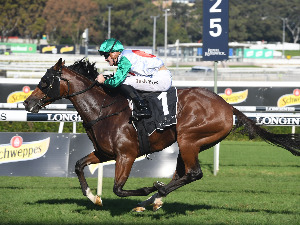 Madison County has done best of the Baker – Forsman runners at the Sydney Autumn Carnival, being placed in each of his three starts, including seconds in the Gr.1 Australian Derby (2400m) and the Gr.2 Tulloch Stakes (2000m) on wet ground. Vin De Dance, last year’s Gr.1 New Zealand Derby (2400m) winner, was among the tailenders in the Manion Cup and Chairman’s Handicap. It’s not often you find the owner of a Group Three winner at Royal Randwick happily ensconced on his tractor cutting grass less than twenty-four hours after such a notable victory. Cambridge trainer Stephen Marsh has confirmed a hit and run mission to Melbourne for Hawke’s Bay Cup winner, Felaar. Locally trained mare Lil Miss Swiss caused a major boil-over when she nabbed hot favourite Orepuki Lad in the shadows of the winning post to capture the Listed Carriers Arms Hotel Riverton Cup (2147m) on Saturday. A truly run race set up the perfect conditions for Cambridge three-year-old Lord Arthur who stormed to victory in the Gr.2 Valachi Downs Championship Stakes (2100m) at Ellerslie.